Hello! 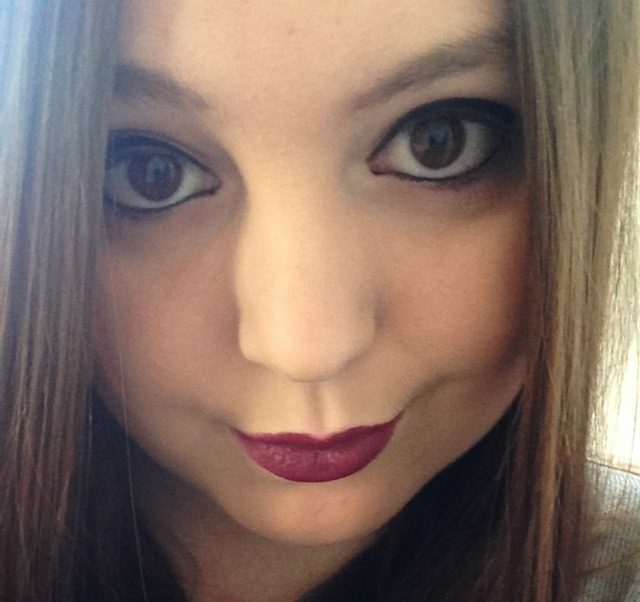 I can’t believe how long its been since I’ve posted now. Next year, I know its a while away, but I really want to make more time for blogging, as I miss it so much, its been a tough year, this year. Anyways as most of you will know, I am absolutely obsessed with Christmas. I just love seeing everyone open up their presents, spending time with family, and everyone being so chilled and just happy! Advent calendars are getting better and better every year now, and this year is no exception! Obviously this isn’t all of them, and there is still some to actually come out in shops yet. These are the ones I’ve seen so far, and I wanted to included a wide selection, something for everyone. I have also included the links in the little headings, to where you can get them from! On your marks! Get set! Go and get your advent calendars! Wow just look at the detail going on inside this calendar. I just love the colours! Lookfantastic have launched this beautiful beauty advent calendar, and if the presentation doesn’t sell you, the products inside certainly will. After all your getting £300 worth for £79! Included is 9 full size products and 16 deluxe samples. 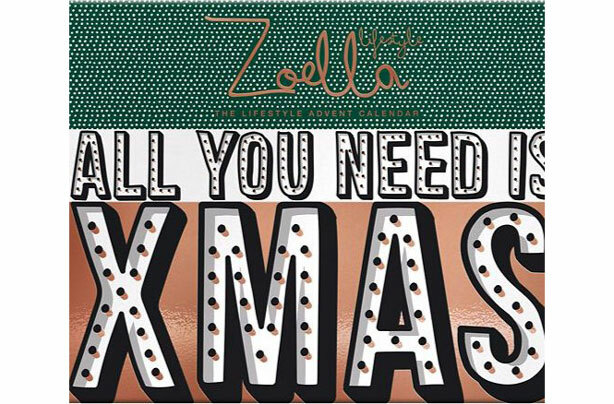 These products will definitely guide you through December and help you through party season. Also after revealing all 25 products, there’s no need to chuck the packaging away, as this vanity case can be used for all your much love beauty essentials. This is one for all the candle lovers! I have had a Yankee Candle advent calendar before and I was really impressed with it, I think it was a 3D carousel one, however I am liking the design of this wreath. If your quick you can get this for £19.70 instead of the original price of £24.99. You can’t go wrong with that really, can you? Inside will be 24 tea lights. The scents included are, red sparkling cinnamon, candy chestnut, and macaroon treats. I won’t name them all, as I don’t want to spoil the surprise, however there is a scent for everyone. If a Christmas candle doesn’t get you into the spirit, then I don’t know what will! Another beauty advent calendar up for you next from W7. In this calendar, its all about the makeup. The products inside range from, lip glosses, lipsticks and nail polishes. I actually think this is perfect for teenagers, who have just got into makeup. You get lots of different samples to try out and experiment with and then behind the last door, you get a full size product. I actually have some of the W7 nail polishes, and they are very good! Actually some of the smoothest when applying, nail polishes I have in my collection. At £30 its probably in the middle price range bracket, to the top end of the lower price bracket, so all in all very good. Good luck to everyone who is wanting to get their hands on one of these. Last year the Decleor advent calendar, sold out in October! If you manage to get one, your very lucky! Apart from the gorgeous gold leaf detailing on the packaging, there are a lot of very good skincare products, you are going to get with this. Included are three full size products and 21 luxury samples. Some of the range includes, life radiance flash mask 15ml, hydra floral plumping mask 15ml, aroma lisse smoothing cream 15ml and aroma comfort moisturising body milk 50ml. 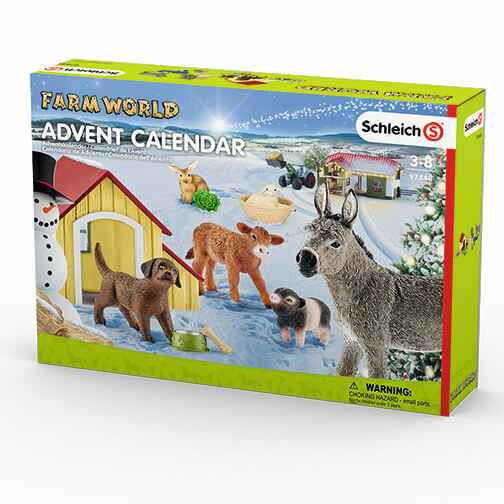 This is very clearly a must have advent calendar, so get in quick! Moving on to the top end of the scale with Clarins. Clarins advent calendar you can expect 24 products from the skincare and makeup range, but also some jewellery, which I really like about it. Some of the products include, 5ml Instant Light Natural Lip Perfector 01, 4 ml Instant Smooth Perfecting Touch, Key chain accessory (bauble) and 30ml Hand & Nail Treatment Cream. Can I just say that I know an advent calendar is for yourself, however if you can resist the temptation, or perhaps you’ve got something, you think you wont use, these products would make really good stocking fillers. Especially the jewellery, I mean look at it, its gorgeous! I can’t get over the price of this L’Occitane advent calendar! I thought it would be a lot more. Here you can get £87 worth of products for just £49. I love the little Christmas scene inside, designed by the artist Kanako. What you can expect to find in this advent calendar is, 30ml Ultra Rich Body Lotion, 35ml Almond Shower Oil, 7.5ml Arlésienne Eau de Toilette and 10ml Shea Butter Hand Cream. This is going to be very popular again this year, and no doubt sell out quickly. Its a chance to have luxurious products at a very, very, reasonable price. Make sure you don’t miss it! Wow! Wow! Wow! It is going to be pretty hard to top the appearance of this! How cool! Rituals has brought out a 3D tree advent calendar. Not only that, but you get £140 worth of products, for £79.50. That’s almost double the price of this calendar! You will discover some of these products inside, The Ritual of Dao Bed & Body Mist 20ml, Samurai Cool Down 70ml, Mini Fleurs de l’Himalaya 10ml, and The Ritual of Ayurveda Hand Lotion. Absolutely perfect for the winter months, guaranteed to give you the relaxation you need, and treating your skin with luxury, whilst the cold weather comes in. One for the men as well as women. Drinks By The Dram have created this fun whiskey advent calendar. What to expect behind the 24 doors is, scotch whiskies, Irish and other delicious world whiskies. There is also a whisky worth £600 a bottle inside! What a perfect way to get into the festive spirit! They also do a gin and a rum one as well, and they range from all different prices. I know a few people who would like this! I don’t think I know one person who doesn’t like Molten Brown. A limited addition advent calendar is here, and behind 24 doors you will find shower gels, eau de toilettes, body lotions, body polishes, mini candles, hair mask and much, much more. How cute is this festive shower gel bauble too! It is so lush! Not only that, but it is worth £256! If my maths is correct, that is £91 worth free! Molten Brown’s festive gifts, sell out so quickly, I wanted to get the bauble shower gels as gifts last year, and I couldn’t because they had already sold out, and we all know, how early I start my Christmas shopping! There’s a very big chance, the advent calendar will sell out too, so I wouldn’t hang about on this one. One for the kiddiewinks! I must admit, I’ve not heard of this brand of advent calendar before, however it sounds really cool. Inside behind the little doors included, features toys from Playmobil and VTech. This is just one of them with the theme “farm world”, however there is also the themes, “horse club” and “wild life”. There really is something for all interests. As much as chocolate is great, I am pretty sure all children would love to receive a toy each day, towards the run up to Christmas. I know I would of done. There are 3 different Body Shop advent calendars, this one I’ve featured, is the cheapest. I really love the Body Shop products, but I do already have my advent calendar for this year, and I can’t justify buying another one. Some of the products included in this one are, frosted berries soap 25g, facial cleansing sponge, brow brush and coconut shower gel 6oml. However it is only October and this is already sold out, but you can leave your email, and they will send you an email, once its back in stock. Obviously a very popular choice this year, and to be honest, I can see why. This is my advent calendar for this year, and I cannot wait to start opening it! I had to pick it up, as I knew this is going to sell out sooooo quickly! I’ll only say 2 things which are included in this, as there is only 12 doors, so one of the things is a purse, and the other is a room spray. The picture doesn’t do it any justice, and I LOVE the colour scheme. If you shop at Boots as well, this is included in the 3 for 2 offer, which I think is very good! I’m so happy I’ve managed to get my hands on this, I just can’t wait for December to come! I just love The Biscuiteers! I think this is such a great alternative to chocolate. I can tell you myself, that these are the best biscuits I have ever tasted! I have also gave these tins as gifts in the past, and the tins are very cute! The biscuits are beautifully hand iced, and really do look as good as they look in this picture. They don’t arrive broken, and you can see the effort that is put in them. 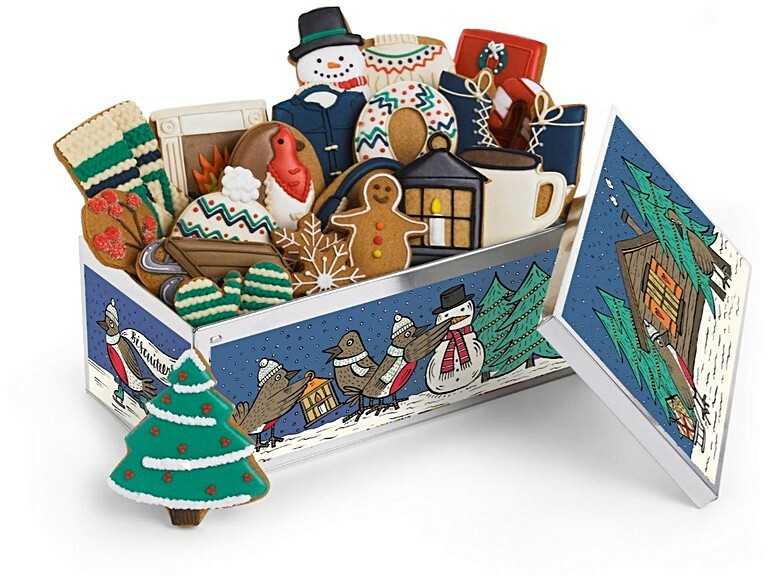 As well as this advent tin, they do, do other themes of biscuit tins, for all different occasions, and they do make really special gifts. I highly recommend them to everyone! I am so pleased that The Snaffling Pig Company, are getting more recognition and well known. Another alternative to chocolate, just maybe not the first thing in the morning, or maybe you will! I have also bought from this company in the past, however I haven’t tasted the pork scratchings, as I can’t bring myself too, but the person receiving them as a gift, loved them! Included are 6 different flavours, some of them being, pigs in blankets and low and slow BBQ. I think for a lot of people though, they are going to be tempted to open more doors before the date is on them! Be sure to check out there other gifts in the range too! Let me know in the comments, what advent calendars you are getting!